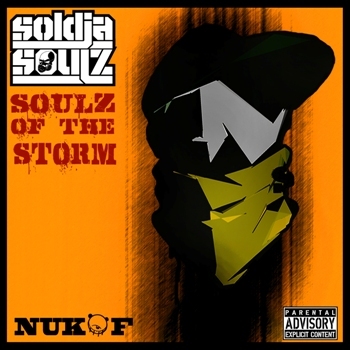 Here is the new long player from Soldjasoulz, a duo from East Anglia consisting of Reds and DPF, two emcees that have done more than paid their dues in UK Rap. Its funny when you see people claiming they are consistent, then I look at the combined catalogue of these two rappers and one thing sticks out to me… these dudes got HISTORY! The album features a string of guests and producers including Tricksta who impressed earlier in the year with his ‘Just Before Nightfall’ mixtape and ‘Out Of Darkness Cometh Light’ album. His sample three production can be heard on three tracks on this album, the best one being the opening track to the album which is epic. The track with Main Flow is nuts and one of the best US/UK collobo’s we’ve heard for ages.